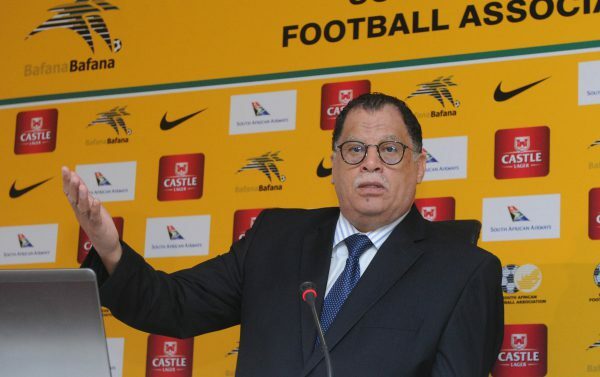 SA Football Association (Safa) president Danny Jordaan has confirmed that the SABC will broadcast the 2019 Africa Cup of Nations qualifier between Bafana Bafana and Libya. Bafana will play Libya on Saturday at Moses Mabhida Stadium at 3pm. There were doubts that the SABC would broadcast the match owing to the public broadcaster’s debt towards Safa. “We are pleased to announce that we have resolved the outstanding issues and I would like to thank the SABC in making sure that the nation will watch their favourite sport on the national broadcaster‚” said Jordaan. It is reported that Communications minister Nomvula Mokonyane and Sports Minister Thokozile Xasa stepped in to help the two parties resolve the issue after talks broke down on Wednesday night.